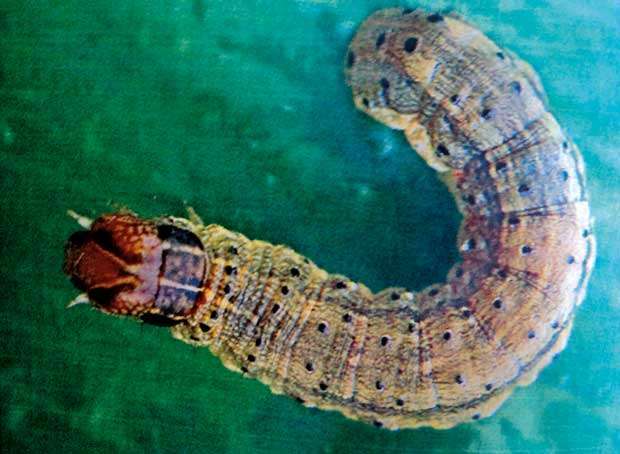 The “Fall Armyworm” (Spodopteria Frugipedera) cannot be eradicated in a hurry as its lays 1500 eggs at one time said Director general of Agriculture Dr.W.M.Weerakoon soon after the Special Task Force meeting on “ Fall Armyworm”. The meeting was held at the National Agriculture Information Communication Centre at Gannoruwa. Dr. Weerakoon chaired the meeting which composed of fifty Provincial Coordinators and those directly engaged in this Task of eradication and controlling this pest, which travels around 100 kilometres with the monsoon. Dr. Weerakoon said they have drawn four Committees to lay out a plan for immediate, short term and long term eradication of this pest. The pest according to Researchers had come from India around September last year and was detected when they were attacking the Maize crops and the set first eats into the young leaves of the maize and then attacks the cobs, which they are very fond. Apart from Maize, they go for paddy, Legumes, fruits, vegetables and other crops which are edible and soft. 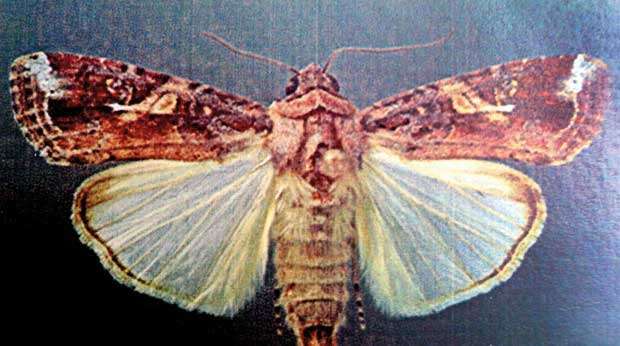 These pests are found in Anuradhapura, Monneragala, Amparai and Kurunegala. Not that they do not visit other areas, but these were the main areas. Their life cycle is short and lasts from seven to twenty-one days, but the destruction is great. From larvae they go onto their life cycle and within one to two months they die. But, the cycle goes on with the new 1500 eggs which eat up all that is needed. The department has recommended five pesticides and also the watery Margosa in 10 litres in 300-500 grams of Margosa (Kohomba). Dr. Weerakoon said that at the moment there is an indication of control of this pest, but the amount of eggs that they lay is a problem and would take some months to fully control the pest. He said that the department has also recommended that the pest ridden maize should be burnt and also when ploughing paddy lands it should be deep as possible. He said although steps are being taken, eradication of the pest is not easy.